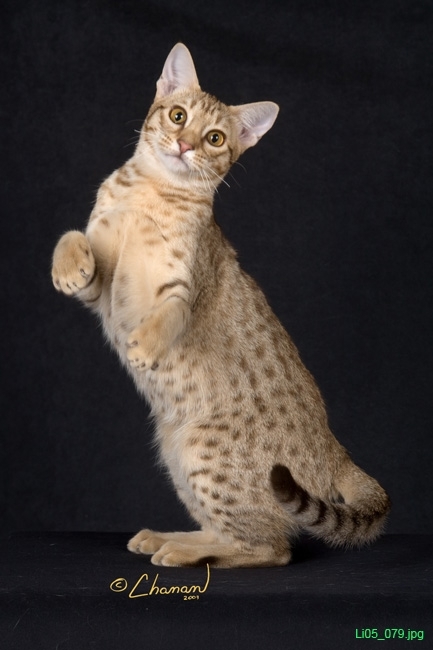 Feona is a Chocolate spotted female who has a wonderful personality. This is one of my first Ocicats that I got from Caifornia while living in Arizona. She wasn't very fond of the show halls so we only got to Champion level. 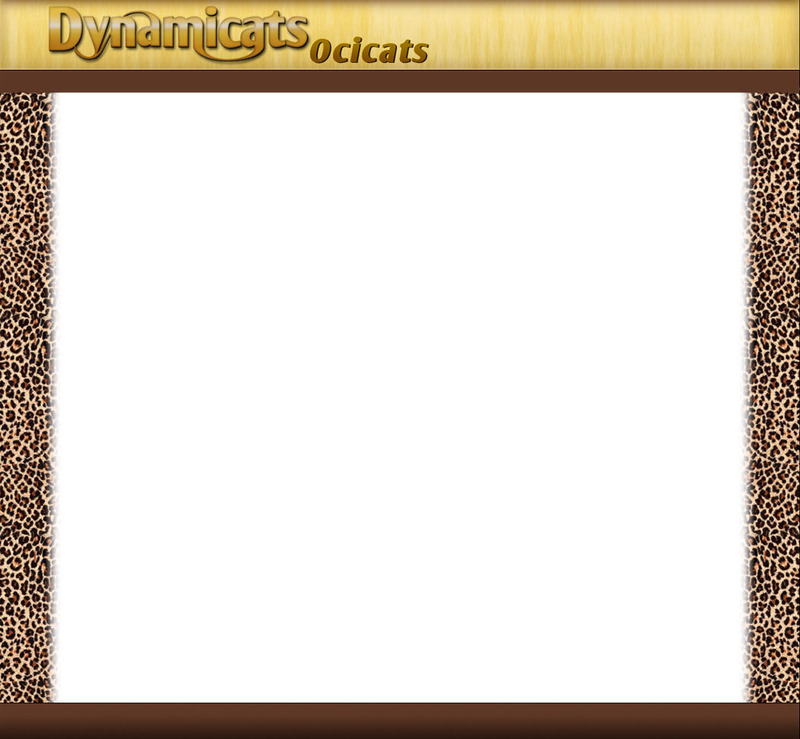 However, she is a loving Ocicat mother and pet who will teach her kittens to play fetch at a very young age.